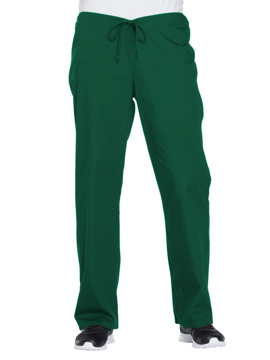 Men's zip fly pull-on pant features an all around elastic waistband with a button closure, an adjustable interior drawstring and Dickies logo twill tape on the inside back waistband. 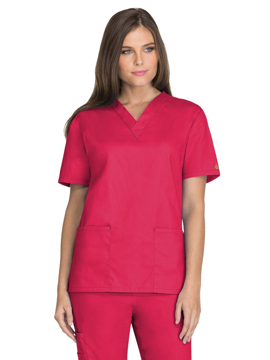 Also featured are slash pockets, cargo pockets and a back pocket with a Velcro® closure for security, a D-ring on right front belt loop and double needle topstitching throughout. Regular inseam: 31½". Tall inseam: 34½". 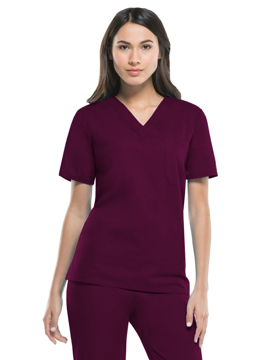 A modern classic fit, v-neck top featuring the Dickies logo twill tape at the back neck, patch pockets, a stretchy knit interior pocket, and side vents. Center back length: 27". 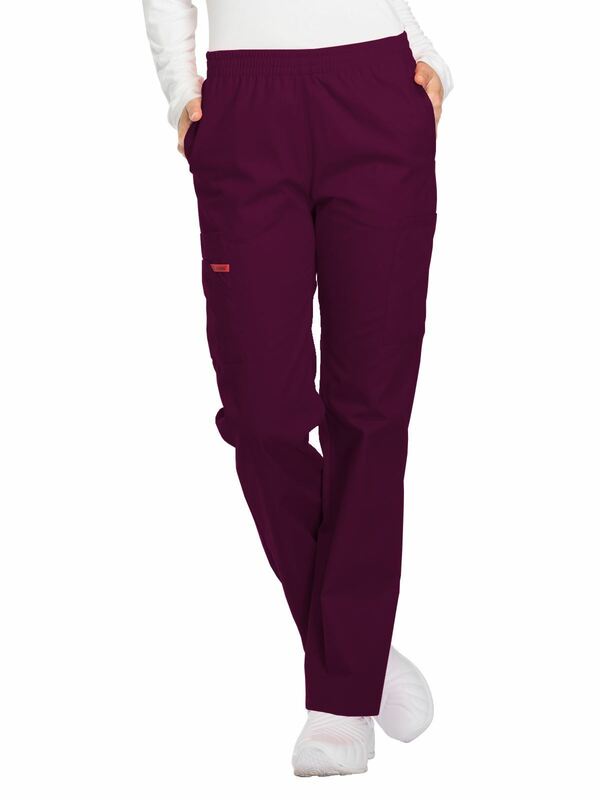 A unisex fit, natural rise pant features an adjustable drawstring with Dickies logo twill tape on the inside back waistband. Also featured is a back pocket with a stretchy knit interior pocket. Regular inseam: 31". Petite inseam: 28½". Tall inseam: 34".